There’s another summer tradition I love a lot. It was on my post-seminary-bucket-list. The kind you do on a spinning wheel. It always looked soothing and enjoyable, and I wanted to at least try my hands at it. So, within a month after graduating – driving past a pottery shop – about 3 miles from my home – I saw a sign on the door of the Bluegill Pottery Shop – “Classes Beginning Soon.” Of course, I chalked that up to a graduation gift straight from God. 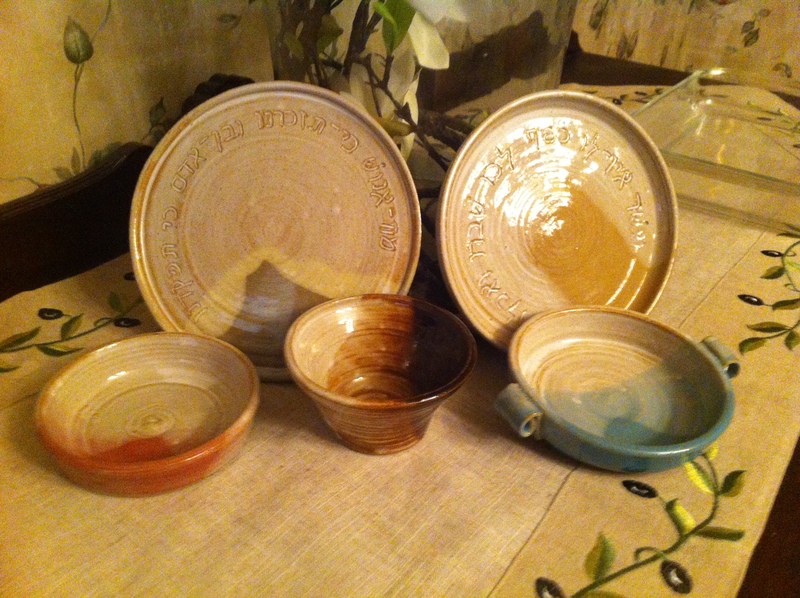 And in the summer of ‘05 – along with three friends – I took pottery lessons. And yes, it was everything and more. I’ve been back two other summers since then when I’m ready to do something soothing and self-indulgent. I plan to do it again this summer – for a week – because it takes me at least a week – every afternoon – to produce useful pieces of pottery. My favorite clay to work with is this smooth grey clay. It’s easy to work with and I like easy because I have weak hands. The clay I learned on was beige, grainy and hard – sort of like stuff you’d exfoliate your face with. Not nearly as lovely as the other. Last time I went they were out of the grey and I had to work with the beige. I think I’ll call ahead and place my order now, because I really don’t want to work with the beige. It’s nice being the potter instead of the clay. I do get to choose what kind of clay I want to work with. And yes, the clay – whether grey or beige – has not once talked back to me. But other than these brief moments of being the potter, I am metaphorically compared to clay – in scripture – along with the rest of the human race. Class over … back on the wheel. Don’t talk back. Just sit there – like a lump – and let the potter do his thing. Only a fool would think she knows better than the potter, right? I’ve been that fool before. Do we have a choice in the type of clay we are? Do we have a choice in just how moldable we are? If I may, I want to back up this notion with an illustration from Cathy Burwell. Now, while made-from-scratch may taste better than just-add-water-recipes, they are more difficult. Do you want to be easy or difficult? Do we even get a choice in choosing? Perhaps we simply have too much wounded baggage to be anything but difficult. I think it may take more work than we realize to become enjoyable to mold. And I’m not so sure how to get there apart from continuous pleading. But I must say, this question of why some are difficult and some are easy is always a running question in my head. One of those questions where I want a one sentence answer – but after dozens and dozens of books on the very topic of “difficult people” I’m finally starting to realize there is no simple answer. 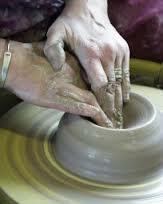 Is there something we have to bring to the table – the potter’s wheel – that will help to make us more moldable? You may want to pause before you see my recommendation, and think about this question for yourself. Is there anything I can bring to the table except a wretched, pitiful, self-absorbed, insecure woman? Surely, that’s not the type of stuff that’s easy to work with. Because I’m about to give you my answer. It’s not even a sentence. That’s it. That is what I think is the one thing we have to bring to the table – and of course – I also think that even bringing longing is something we can’t do in our own strength apart from God. Do you think God says, oh, I want this piece to look just “so-so.” And this one, I could care less what this clay turns in to. I can’t imagine that! What I can imagine is God wanting to fashion each and every one of us into something worthy of the Louvre – prize possessions – on display for the whole world to see – everlasting splendors – true masterpieces. So when I’m pondering my own life – and satisfaction of soul – and my soul is restless and anxious – I would do myself great service to pause and ask, in this very moment, what am I longing after?